From the #1 New York Times bestselling author of Orphan Train comes a novel about the choices we make, how they shape our lives, and how they can change them forever. It was dark. It was raining. It was just an accident. On the drive home from a rare evening out, Alison collides with another car running a stop sign, and–just like that–her life turns upside down. When she calls her husband from the police station, his accusatory tone reveals cracks in their relationship she’d never noticed were there. Now she notices everything. And she begins to realize that the life she carefully constructed for herself is as tenuous as a house of cards. Exquisitely written, powerful, and thrilling, Bird in Hand is a novel about love and friendship and betrayal, and about the secrets we tell ourselves and each other. This is a well written thought provoking story that had me on highs and lows from the beginning. I love stories about family relationships and friends, so this book was a perfect choice for me. The characters were both interesting and “real”, they weren’t perfect and that made them and the story very interesting. Although I loved the characters. I can’t even name a favorite, because they all had their good and bad points. I was rooting for them one minute and the next I was yelling at them. Their relationships were so much deeper and interlaced than I thought they’d be when I picked the book up. You see a bit of their past creeping up on them and see how it impacts the present. This was my first Kline book and I do want to read more from her. She has a way of pulling you into the book that makes you want to keep reading. I don’t really like candy coated stories, and this definitely wasn’t one. Our lives are messy, marriages are messy, friendships are messy. Readers can connect to the characters on a personal basis, and that makes this book a winner in my eyes. 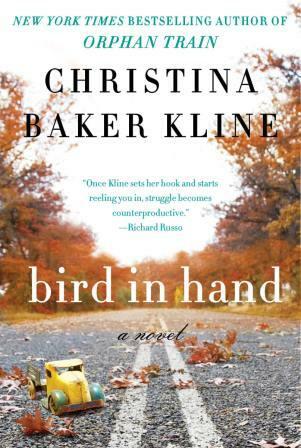 Christina Baker Kline was born in Cambridge, England, and raised there as well as in the American South and Maine. She is the author of five novels: Orphan Train, Bird in Hand, The Way Life Should Be, Desire Lines, and Sweet Water. She is co-editor, with Anne Burt, of About Face: Women Write about What They See When They Look in the Mirror and co-author, with Christina L. Baker, of The Conversation Begins: Mothers and Daughters Talk about Living Feminism. She has edited three other anthologies: Child of Mine, Room to Grow, and Always Too Soon. Writer-in-Residence at Fordham University from 2007 to 2011, Kline has also taught literature and creative writing at Yale, NYU, UVA, and Drew University. 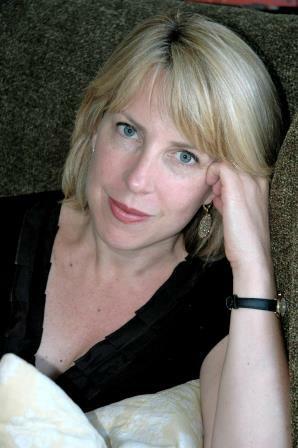 A graduate of Yale, Cambridge University, and the University of Virginia, where she was a Hoyns Fellow in Fiction Writing, Kline is a recipient of a Geraldine R. Dodge Foundation Fellowship and several research fellowships, and has been a Writer-in-Residence at the Virginia Center for the Creative Arts. Kline lives with husband and three sons in Montclair, New Jersey. She is at work on another novel and an anthology. Goodreads, Amazon, IndieBound, Barnes & Noble. I haven’t read Kline yet but will be starting one of her books next – my book club is reading The Way Life Should Be. I haven’t read anything by this author either, but that can change. thanks for your thoughts. I read Orphan Train and loved it, and look forward to more of her books. This sounds like a very intense book, Vicki. Terrific review! Yes, real life IS messy. I’m glad to see that Kline captured it so well! I have Orphan Train but have not read it yet. This sounds like a good read. I like a good story that is not sugar coated. I’ll have to check out Kline’s books! I enjoyed Orphan Train. This one sounds good too. I enjoyed your review. I already have ‘Orphan Train’ on my ‘Want To Read’ list after the rave reviews and ratings it has received and this one sounds as though it will have to join it! I would like to think that my husband would be a little more supportive of me than Alison’s is. I am certain he wouldn’t start accusing me of anything, either before ascertaining that I was okay and unhurt, and before he had heard the full story about the accident. It sounds as though this is a marriage which already has its problems and challenges. A really nicely presented review, which is very balance and thoughtful. I love messy books so I’ll have to look for this one.